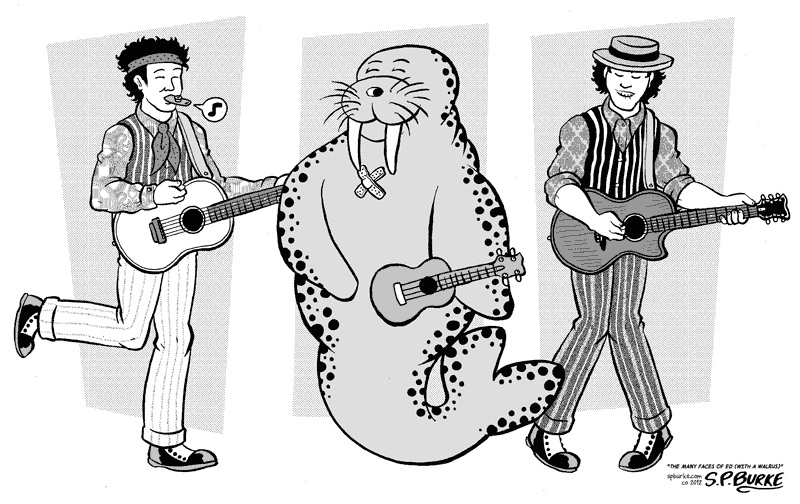 Little something that Hal Stern had me draw up for Edward Rosini, friend of his son Ben and his cohort in the band Tracheotomy Walrus, who’s logo I just completed. Both graduated from high school just today and are on their way to Tufts University in the fall. Congratulations guys!